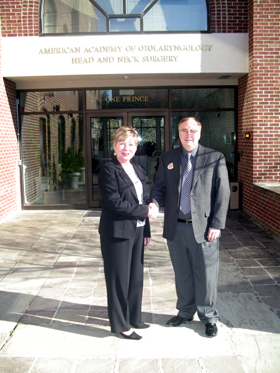 Jodie Nolan of Paul J. Strawhecker, Inc. with Robert D. Olson, CFRE, Senior Director of Development, outside the American Academy of Otolaryngology – Head and Neck Surgery Foundation headquarters in Alexandria, VA, after a meeting for the philanthropic planning study. Similar to a feasibility study, the Philanthropic Planning Study (PPS) lays the groundwork for a successful capital campaign. The process that Paul J. Strawhecker, Inc. utilizes in forecasting the potential for a successful campaign is comprehensive in nature. 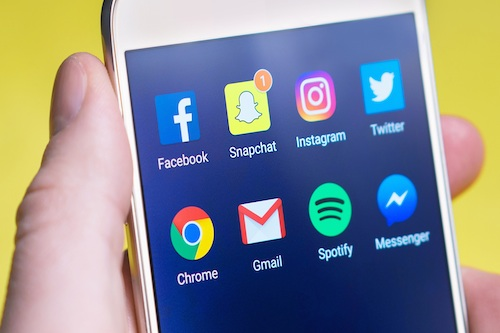 Because a capital campaign requires major investments of time and resources, the campaign planners must be able to accurately gauge the potential for success. An organization must enter a campaign with most of the factors in place that will help to realize its goals. The group must be realistic, know its strengths and weaknesses, understand its objectives, and have a well-conceived action plan. 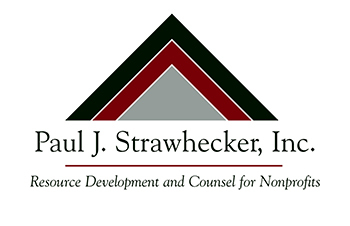 Paul J. Strawhecker, Inc. conducts structured interviews with individuals who are key to your organization to determine the feasibility of a capital campaign. Prospect research is conducted with interviewees to determine the level of their awareness of the organization, programs and services as well as support for the project, including determining their gift potential. Organizations that choose to bypass conducting a philanthropic planning study often discover there isn't enough awareness of or support for their organization, its mission or the services it provides. Subsequently, they come up short or completely fail in reaching their campaign goals. Committed campaign leadership and major gift prospect potential determine the greatest impact for a successful campaign. The Philanthropic Planning Study is also valuable in making key people aware early on that a campaign has been planned and will be executed in the near future. Ultimately, the Philanthropic Planning Study determines the specific strategy that should be implemented to mount a successful capital campaign. Click here to request more information about hiring Paul J. Strawhecker, Inc. to conduct your next study.